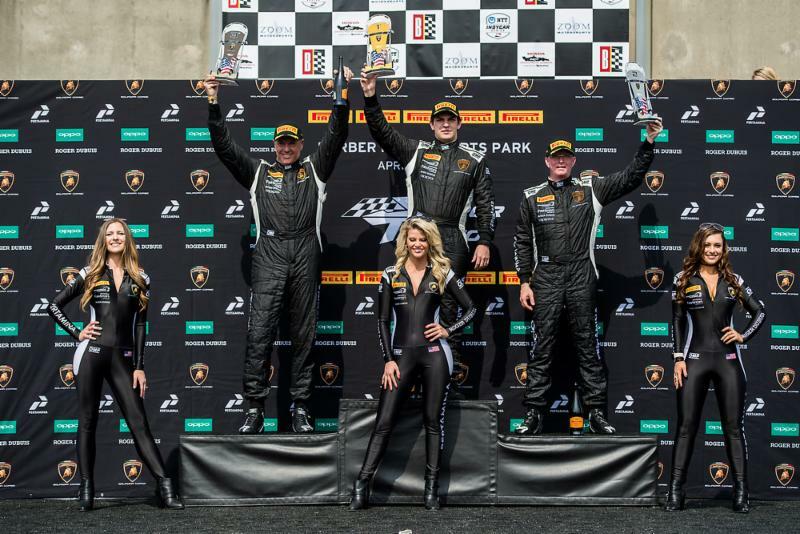 LEEDS, ALABAMA (April 7, 2019) – Precision Performance Motorsports kicked off the 2019 Lamborghini Super Trofeo season in winning fashion following the opening rounds at Barber Motorsports Park. 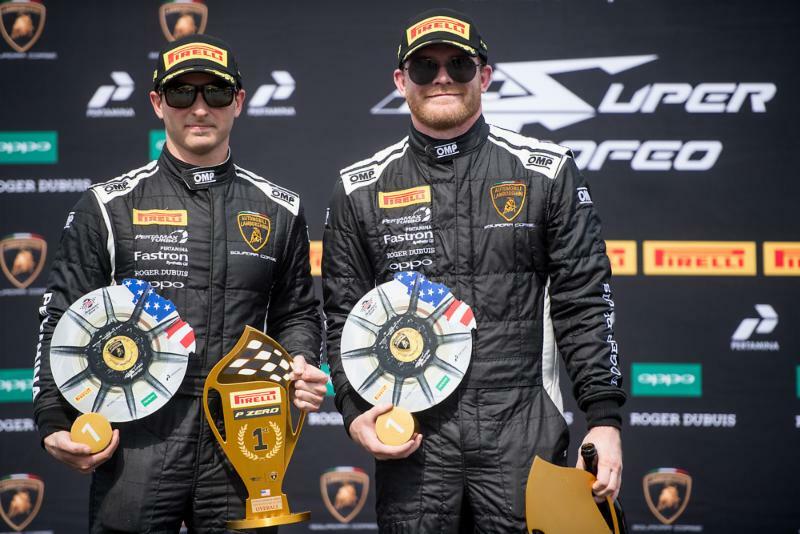 A breakthrough Race 1 victory for Conor Daly and Brandon Gdovic highlighted a bittersweet weekend for the No. 46 Lamborghini Huracan Super Trofeo EVO. Steve Dunn racked up a pair of podiums in his No. 11 Killer Dana Lamborghini with a second and third place finish in the Am category. “Winning Race 1 of the season is what we strive for – so yes, I’m proud of the effort from the entire Precision Performance Motorsports team. Even though we had a hiccup in Race 2 with a mechanical, we still racked up points for the championship,” said PPM Team Manager, Sunny Voelker. “Yesterday Brandon had an awesome start bringing us up to the lead and Conor showed his ability to get up to speed in this new car by bringing it home P1 against a hard charge by the Change 29 car. We couldn’t have asked for more. There’s a good chemistry between all three of our drivers we’ll be in the fight for the championship in both classes. An impressive first two corners of Race 1 saw Gdovic jump two positions to second, while Dunn built himself a comfortable gap, running third in the Am-class. Amidst Gdovic’s push forward, the leader was issued a drive through penalty, which allowed him to advance to the front. Just as the mandatory pit window opened, Gdovic pitted the No. 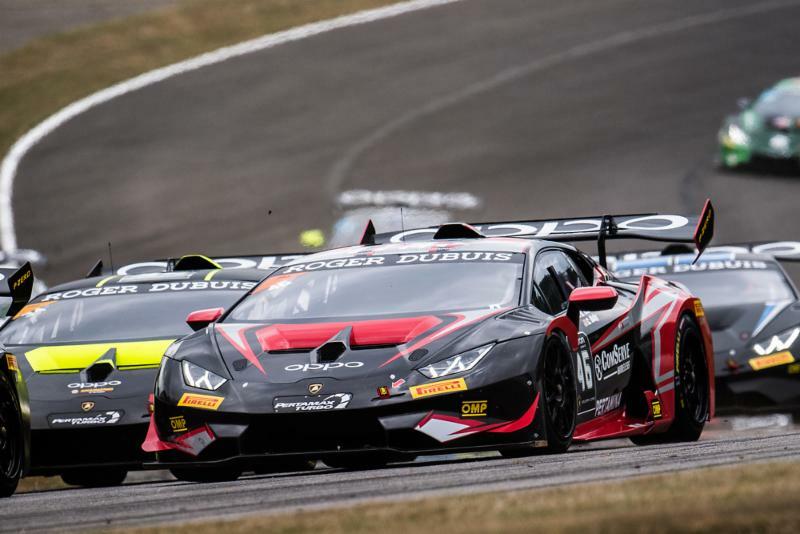 46 Lamborghini and handed the controls off to Daly, who reentered in the second position. Dunn followed suit the next lap and rejoined the field third in the Am category, where he ultimately finished the race. It didn’t take long before Daly found himself in a three-way battle with Lewis and Ockey, who he eventually dove around for the top slot. From there, Daly increased his lead margin to just under two seconds where he took the checkered flag, claiming the overall victory for himself, Gdovic and the PPM team. 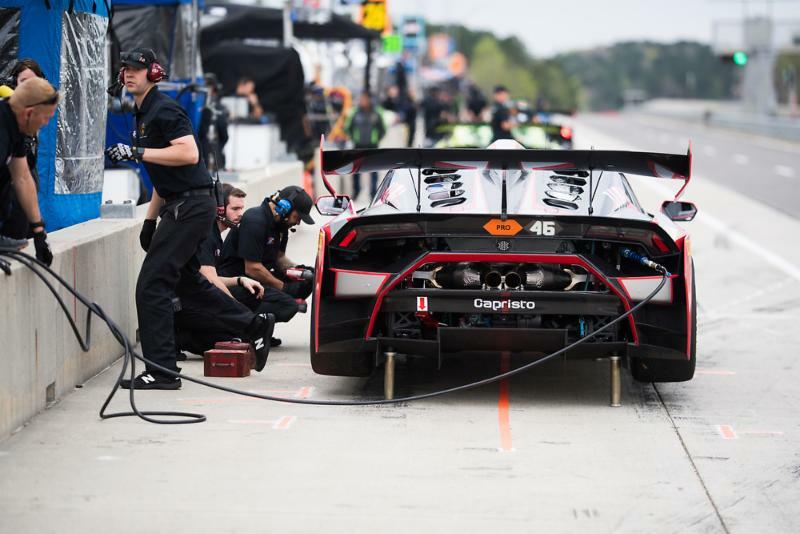 Despite the incident the duo was able to accumulate valuable points this weekend and leave Barber Motorsports Park second in the championship standings with a three point deflect to the leaders. Dunn bested his Race 1 finish with a second-place podium for the No. 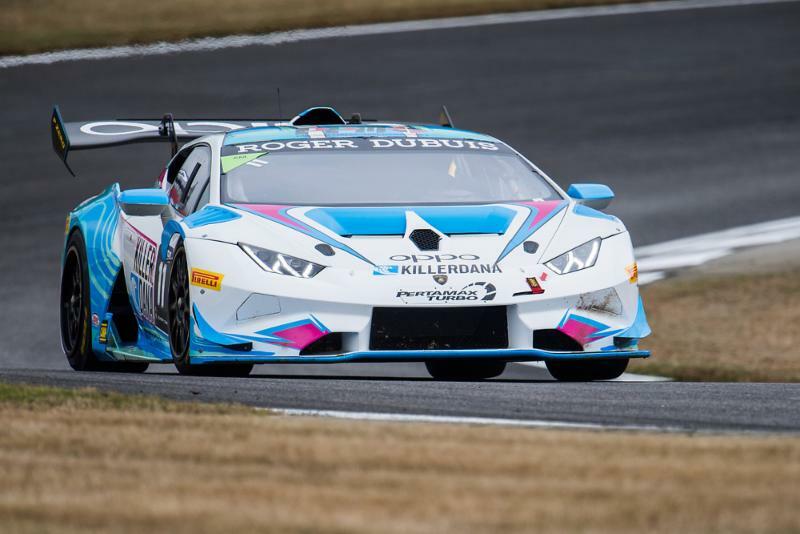 11 Killer Dana Lamborghini Huracan Super Trofeo EVO. Despite a drive through penalty following the pit window, the Colorado native was able to put his head down and earn himself a podium sweep at Barber Motorsports Park. With Rounds 1 and 2 complete, the series continues at Watkins Glen International on June 29 and 30. 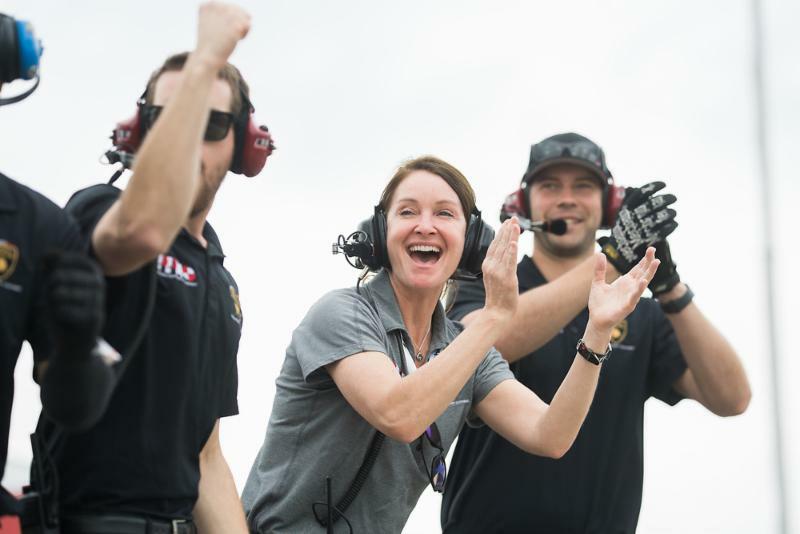 A recap of this weekend’s races can be seen on NBCSN on Friday, April 19 at 1 p.m. EDT.